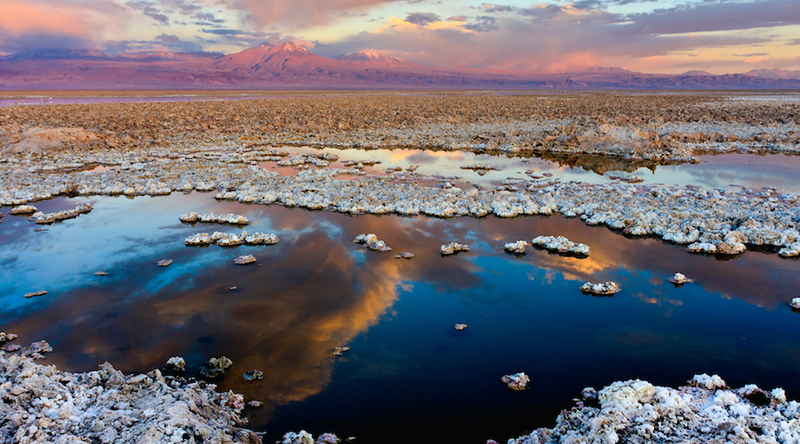 Salar de Atacama, the largest lithium salt flat in Chile. Photo from WikiMedia Commons. The Chilean Nuclear Energy Commission (CCHEN) refused to increase the lithium production quota for U.S.-based Albemarle Corp, which had already gotten approval for an increase from a national development agency, a local newspaper said on Saturday. Following a request from Albemarle "for an increase of 258,446 metric tons of Metallic Lithium Equivalent … based on a declared improvement in efficiency of its operations, it was decided that the information provided was not sufficient to justify the increase," Patricio Aguilera, executive director of CCHEN, said in a story published in the newspaper La Tercera. As global demand for lithium heats up, Albemarle Corp is investing millions of dollars to engineer specialized types of the light metal for electric car batteries, part of a strategy to remain the niche market's top producer. (Reporting by Hugh Bronstein Editing by Bill Berkrot).